Hobbes Studies has recently announced the winner of its 2016 Essay Competition: Dr Elliott Karstadt, with the essay ‘The Place of Interests in Hobbes’s Civil Science’, which is published in the latest issue. With the 2017 Essay Competition already open, the European Hobbes Society took the opportunity to interview Elliott on the essay, his research and upcoming plans. What was the background/inspiration for this research? The article is drawn from my PhD, which was entitled ‘The power of interests in early-modern English political thought’ dealing with the language of interests in political thought in the period c. 1640 to c. 1740. The idea for such a project was born when I took Quentin Skinner’s Special Subject on ‘Hobbes and the English Revolution’ at Cambridge in my final year as an undergraduate (2007-8). During the course of the lectures – which dealt with Hobbes’s work and its Civil War context in equal measure – Quentin suggested that the topic of interest would make an interesting research project. So, I thought, why not? I had already decided that I wanted to pursue research in intellectual history, and I was looking for inspiration, and here he was providing it! It was very lucky that we moved from Cambridge to Queen Mary at the same time, so he was able to supervise the project as well as having provided the inspiration. The vocabulary of ‘interest’ is present in English already in the sixteenth century as either a euphemism for usury, or to indicate a right or claim on property. However, it is not until the 1640s that the vocabulary comes to play a role in political debate. The language becomes important in Italian ragion di stato literature, particularly that of Francesco Guicciardini (which, I point out in the essay, Hobbes did have knowledge of) and in French raison d’etat literature (which we have no proof that Hobbes encountered, though we might conjecture that he read some during his time in Paris). In 1638, the French Huguenot leader, Henri de Rohan published A Treatise of the Interest of the Princes and States of Christendom, which was translated into English in 1640, and which presented Europe with a view of politics that was cast as the interplay between the interests (intérêts) of the various states at the time. It was this text that seemingly leads to an increase in its use in English publications (more on this below). My thesis asked the question: how did thinkers in the century that followed conceive of the relationship between particular interests and the common good? The answers that I found provided by moral and political thinkers over the period fall broadly into three categories: 1. Those who argue that particular interests are generally harmful to the common good, and therefore need to be supressed in favour of the common good (Hobbes falls into this category, with some caveats); 2. Those who argue that particular interests have to be manipulated, or set within some framework, in order to be brought into harmony with the common good (this category is dominated by republican thinkers of the post-Civil War period, in particular I studied James Harrington); 3. Those who argue that, as long as we conceive them in the right way, our interests can be found to be naturally harmonious with the common good (this is the argument that is started by the ‘men of Latitude’ in the Restoration period, and is completed by Bishop Joseph Butler in his Fifteen Sermons (1726)). It is with the last of these answers that I ended the research, partly because of the limitations of a PhD thesis, but also because the language becomes moralised, and the debate becomes less about interests and the common good, and more about self-interest and altruism. What do you see as its most significant contribution to Hobbes scholarship? The article challenges the assumption that Hobbes’s political ideas do not significantly develop between his writing of The Elements of Law (1640) and Leviathan (1651), by studying the way in which his use of the vocabulary of ‘interest’ changes over the intervening period. Indeed, it was over this period that the language of interest becomes increasingly use by political writers on both sides of the Civil War debates. These debates are covered extensively in my thesis. However, it would be mere speculation to argue that it is engagement with those controversies that drives Hobbes’s use of the vocabulary. The article focuses instead on how the addition of ‘interests’ to Leviathan changed his arguments about the nature of monarchy and counsel. I do this by way of a careful comparison of a number of passages that are similar, and often identical, to passages in The Elements of Law, but in which the vocabulary of ‘interest’ has been newly added. Why do you think the language of ‘interests’ has been overlooked previously in works on Hobbes? Is there a methodological point that you’re making in this essay? The history of political thought is not simply to be conceived as a procession of concepts being introduced and subsequently developed or critiqued. Rather, it is the deployment of arguments that constitute speech acts in the battleground of politics. Since Hobbes is no longer here for us to ask him what exact concept he had in mind when using this vocabulary (or whether he had a particular concept in mind at all), all we can do is attempt an understanding of how he uses the vocabulary to forward his arguments. My critics pointed out that that is nearly impossible to distinguish in a conceptual way between ‘interests’ and ‘goods’ or ‘benefits’ (just to take a couple of examples. But making a conceptual distinction was never my aim (maybe others will manage it) – I’m more interested in how the use of that particular word functioned in the argument, and I hope there I was successful. Are there contemporary lessons to be drawn from this research? In my view, the main contribution that intellectual history can make to the contemporary world is to provide alternative ways of thinking to those currently available. In terms of my work on Hobbes, I think that the notion of the ‘public interest’ as being the interest of the person of the state (rather than a conglomeration of particular interests, or simply the interest of the sovereign) is significant. In terms of my broader research, I hope that similar alternatives might emerge that have otherwise been forgotten. To refer back to my first answer, I think that the republican solution to the problem of particular interests (that they should be manipulated in some form of political or constitutional framework) is one that has largely been forgotten, and is due a resurrection. Where do you see this research going (either in your own work, or that of others)? What are your current interests? There are other parts of the thesis that I am still refining. There is a piece on the development of ‘interests’ as a way of thinking about politics in the 1640s. I have already mentioned the role played by Henri de Rohan, whose intervention in international politics really brought the idea of political interests to England in this period. Marchamont Nedham, probably the most famous propagandist of the Civil Wars, was responsible for bringing Rohan’s characterisation of international politics onto the domestic stage. Rather than talking about the particular interests of each state, Nedham brings to focus upon the particular interests of different groups with a state in the English political situation. There is also work to be done on the vocabulary of the ‘public interest’, which I am interested in through both historical and contemporary lenses. I would to take as my starting point the thought that the options we might think we have of conceiving of the public interest are in fact limited, and that a thorough historical investigation of the term might widen its potential definitions. Having undergone some controversy in the 1950s in the USA, the vocabulary of ‘public interest’ remains one of the most important political questions of our time – especially now that the world seems so divided. Hobbes has one answer to the question of what the public interest might be that has been overlooked in recent discussions, which I mention in my article. But he is not the only early-modern thinker to have such an answer. In particular, the republican tradition, especially in the writings of James Harrington, offer a conception of the public interest which has previously been ignored. What I also want to show is that the ‘public interest’ has to be conceived politically – as a question of power – rather than in abstract moral terms. But these projects necessarily move very slowly, because my main focus is now on my studies towards becoming a rabbi. My time now is mostly spent grappling with ancient and medieval sources in Hebrew and Aramaic (the language is in some ways the biggest challenge!) and going out and working in communities; teaching, leading services, and community-building. Leo Baeck College is a fantastic institution full of people dedicated both to Jewish scholarship and the future of Progressive Judaism in Europe. This does not mean an end to my concern with intellectual history, however. The historical and philosophical concerns are still very much present in my study of these Jewish texts. They ask different questions and provide radically different answers, but the approach to studying them is the same, and I hope that I will be able to bring the ways of thinking I have learned studying Hobbes to he study of Jewish texts and the leadership of the Jewish community. Elliott Karstadt was awarded a PhD in History from Queen Mary, University of London in 2013 for a thesis entitled ‘The power of interests in early-modern English political thought’, supervised by Quentin Skinner. While at Queen Mary he was one of the founders of the annual Postgraduate Conference in the History of Political Thought, which has continued since he left and is now in its seventh year. After graduating, Elliott took an editorial job at Polity Press in Cambridge where he spent two years working on projects in sociology, anthropology, philosophy, and history. In a change of direction, since September 2015 Elliott has been a student rabbi at Leo Baeck College in London, where he aims to develop the skills to become a leader and nurturer of the Progressive Jewish community. Elliott Karstadt, ‘The place of interests in Hobbes’s civil science,’ Hobbes Studies 29 (2016): 109. See Elliott Karstadt, review of Appeals to Interest by Dean Mathiowetz, British Journal of the History of Philosophy 20 (July 2012): 839-42. Karstadt, ‘The place of interests’, 107-8. Karstadt, ‘The place of interests’, 122-3. 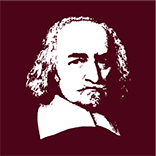 Abstract: Thomas Hobbes has recently been cast as one of the forefathers of political realism. This article evaluates his place in the realist tradition by focusing on three key themes: the priority of legitimacy over justice, the relation between ethics and politics, and the place of imagination in politics. The thread uniting these themes is the importance Hobbes placed on achieving a moral consensus around peaceful coexistence, a point which distances him from realists who view the two as competing goals of politics. The article maintains that only a qualified version of the autonomy of the political position can be attributed to Hobbes, while arguing more generally that attending to the relation between ethics and politics is central to assessing his liberal credentials from a realist perspective. Against the prevalent reading of Hobbes as a hypothetical contract theorist, the article proceeds to show that the place of consent in his theory is better understood as part of his wider goal of transforming the imagination of his audience: a goal which is animated by concerns that realists share. There are also reviews of Michael Byron’s Submission and Subjection in Leviathan: Good Subjects in the Hobbesian Commonwealth (reviewed by Luciano Venezia), Robin Douglass’s Rousseau and Hobbes: Nature, Free Will, and the Passions (reviewed by Ioannis D. Evrigenis), Tom Sorell’s Emergencies and Politics: A Sober Hobbesian Approach (reviewed by Maximilian Jaede), Nicolas Dubos’ Thomas Hobbes et l’Histoire: Système et Récits à l’Âge Classique (reviewed by George Wright), and of a new edition of De homine (reviewed by Johann Sommerville). Patricia Springborg: ‘Hobbes’s materialism and Epicurean mechanism’, British Journal for the History of Philosophy, 24 (2016). Abstract: Hobbes belonged to philosophical and scientific circles grappling with the big question at the dawn of modern physics: materialism and its consequences for morality. ‘Matter in motion’ may be a core principle of this materialism but it is certainly inadequate to capture the whole project. In wave after wave of this debate the Epicurean view of a fully determined universe governed by natural laws, that nevertheless allows to humans a sphere of libertas, but does not require a creator god or teleology to explain it, comes up against monotheism and its insistence on the incoherence of an ordered world in the absence of a God and his purposes. The following questions were central to this debate: (1) Can we understand the universe as law-governed in the absence of a god? (2) If so, what room is there in a fully determined mechanical universe for human freedom? (3) If humans do enjoy freedom, does the same hold for other animals? (4) Is this freedom compatible with standard views of morality? (5) Is there an analogue between the material world as law-governed and human social order? (6) If so does it also obtain for other animals? Abstract: The conventional view of Hobbes’s commonwealth is that it was inspired by contemporary theories of tyranny. This article explores the idea that a paradigm for Hobbes’s state could in fact be found in early modern readings of Aristotle on democracy, as found in Book Three of the Politics. It argues that by the late sixteenth century, these meditations on the democratic body politic had developed claims about unity, mythology, and personation that would become central to Hobbes’s own theory of the commonwealth. Tracing the history of commentary on the relevant passages in Aristotle reveals new perspectives not only on the political theories of both Aristotle and Hobbes but also introduces modern readers to the richness of early modern commentaries on classical political texts. The article ends with some thoughts on why attention to traditions of commentary might be valuable for political theorists today. Christopher Scott McClure, Hobbes and the Artifice of Eternity (Cambridge: Cambridge University Press, 2016). About this book: Thomas Hobbes argues that the fear of violent death is the most reliable passion on which to found political society. His role in shaping the contemporary view of religion and honor in the West is pivotal, yet his ideas are famously riddled with contradictions. In this breakthrough study, McClure finds evidence that Hobbes’ apparent inconsistencies are intentional, part of a sophisticated rhetorical strategy meant to make man more afraid of death than he naturally is. Hobbes subtly undermined two of the most powerful manifestations of man’s desire for immortality: the religious belief in an afterlife and the secular desire for eternal fame through honor. McClure argues that Hobbes purposefully stirred up controversy, provoking his adversaries into attacking him and unwittingly spreading his message. This study will appeal to scholars of Hobbes, political theorists, historians of early modern political thought and anyone interested in the genesis of modern Western attitudes toward mortality. Luc Foisneau: Hobbes, La vie inquiète, Editions Gallimard, Collection Folio essais, 2016. In the recently published paperback edition of Hobbes, La vie inquiète, Luc Foisneau provides a wideranging interpretation of Hobbes’s answer to the question how we should live together when we fundamentally disagree about the good life. A special issues of Hobbes Studies is now available, focusing on Optics, Simple Circular Motion and Conatus. Gianni Paganini: ‘Hobbes e Gassendi tra neo-epicureismo e modelli meccanici della mente’, in Anima-corpo alla luce dell’etica: Antichi e moderni, ed. Eugenio Canone, “Lessico Intellettuale Europeo”, CXXIV, Firenze: Olschki (2015), pp. 281-94. Abstract: It was only recently that the relationship between Thomas Hobbes and Pierre Gassendi received proper scholarly attention. Moreover, while Gassendi’s physics and epistemology have always been studied with a keen interest and with a particular focus on the fundamental questions of atomism and empiricism, it was only in recent times that his ethics, politics and Epicurean transformations introduced by his philosophy received the same kind of attention. This contribution examines primarily the figure of Gassendi and the complex interplay with Hobbes that characterized his thought, especially with regard to the founding of mechanistic psychology.